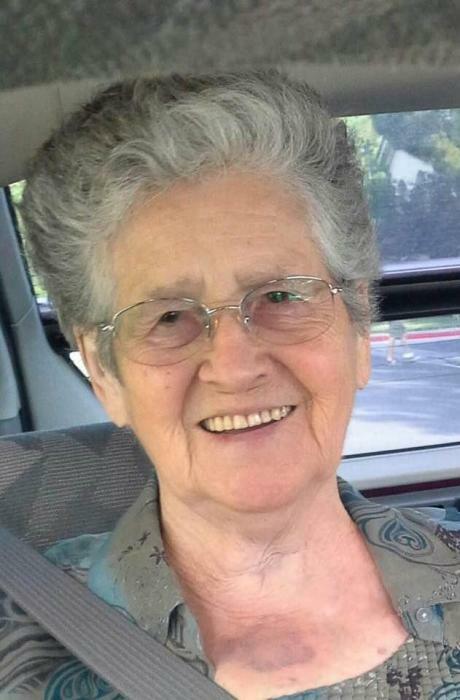 Rita Fleury, 89, formerly of Franklin, died peacefully at Merrimack County Nursing Home on Feb. 5, 2019. She resided at Gerrish Manor for 2 1/2 years. She was born in Bristol, NH on Nov. 20, 1929, the daughter of Arthur and Marie (Saucier) Fleury. She was raised in Northfield, NH and lived in Franklin for many years. She was employed by Franklin Regional Hospital for 33 years and was the Supervisor of the Sterilizing Dept. She was an active member of the Franklin Elks Club. Following her retirement she worked part-time at Concord Hospital in the gift shop. Rita enjoyed swedish weaving, reading, going to the ocean in Maine, bingo and shopping. She is survived by 3 Sons and 4 Daughters: Lawrence "Butch" Abbott of Franklin, NH, Steve Abbott of Belmont, NH, Mike Cross of Laconia, NH, Rita DiStefano of Concord, NH, Diana Abbott of Salisbury, NH, Deborah Chamberlain of Henderson, NV and Shari Parris of Melbourne, FL. Rita had 18 Grandchildren and 24 Great Grandchildren along with numerous nieces and nephews. She was predeceased by: 4 Brothers, 3 Sisters and her parents. Private burial will be at Blossom Hill Cemetery in Concord. In Lieu of Donations please share a memory of Rita in the guest book on the website.